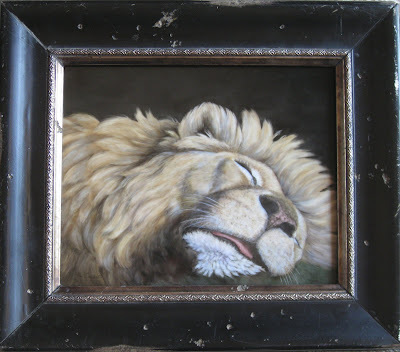 This is an 8 x 10 framed tile of a lion. This goes to all the men I know, my husband, sons, father and grandsons who sleep hard. God Bless You, Every One!